Safety videos is the easiest and least expensive way to effectively train employees on safety. Training through safety videos also limits company liability and lost production time. We strive to provide high-quality, comprehensive safety and training. 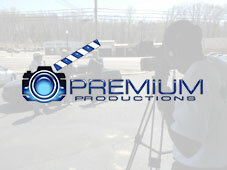 Premium can help you reach your audience with a professionally produced marketing video for social media, your website, broadcast media, and all of your marketing efforts. Only video allows you to relive all the sights, sounds, and excitement of your wedding day. Let Premium Productions be your personal time machine; see everything you missed at your wedding.